I love pumpkin pie. It’s one of my favorite dishes of the fall season, and if I could justify it without getting too many weird looks, I’d make it all year. But, since the weird looks would come (and I’m self conscious like that), I keep the pumpkin pie making to the October-December months. But what wonderful months those are! 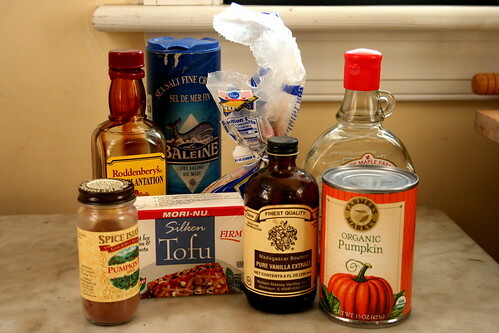 Ironically, I never like pumpkin pie until I became a vegan. But don’t worry, I’ve had numerous non-vegan folks try the pie and approve of it. 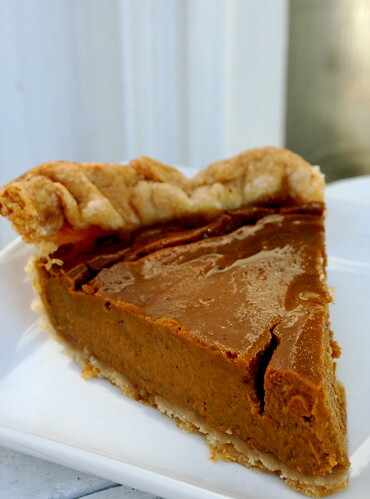 I just can’t get enough of the spicy, pumpkiny, pie crusty goodness that this pie is. The first one I made this year? Well…I hate half of it in 24 hours. Oh dear. So be sure to have a crowd ready to gobble this up or else you might be like me and be on a pie diet! To give credit, this recipe is compliments of Liz at Kamutflake Girl. You can find this recipe and many more in a zine she offers for sale at Etsy. 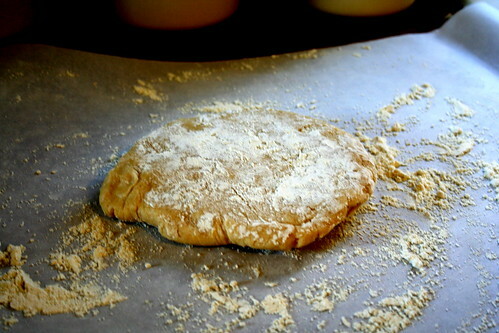 Remove the refrigerated dough from the refrigerator and place on a floured piece of parchment paper. Roll out to a 1/4″ thickness. 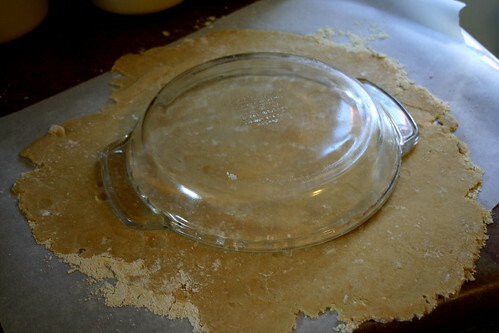 Place the pie dish on top and flip the dough and the dish over. 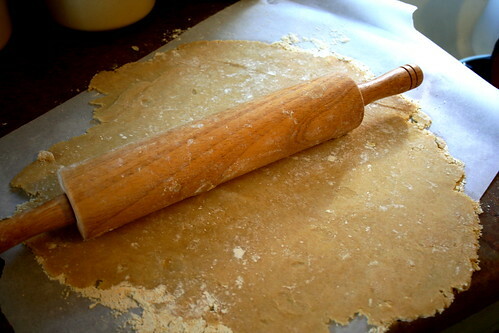 Using your fingers, pat the dough into the dish so that it covers the bottom and sides evenly. 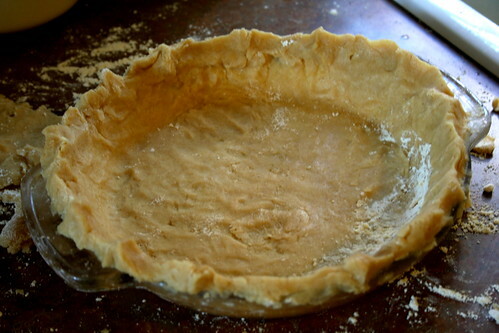 Pinch together the dough on the top edge to make a fluted crust. Poke holes in the bottom with a fork. 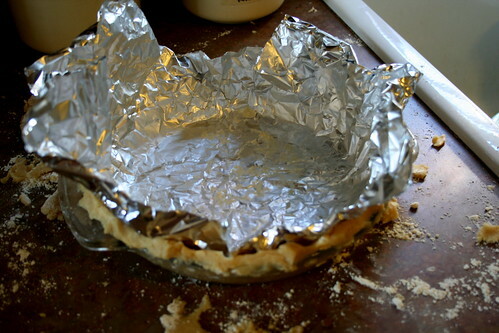 Line the pie dough with tin foil. 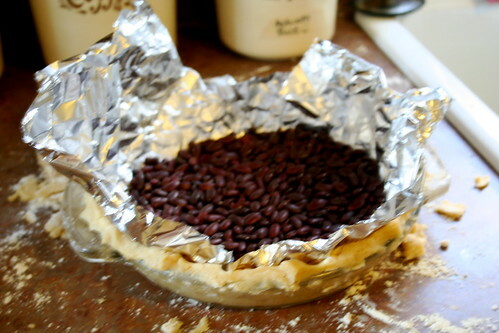 Fill with pie weights or beans to hold down the tin foil. Remove from oven. 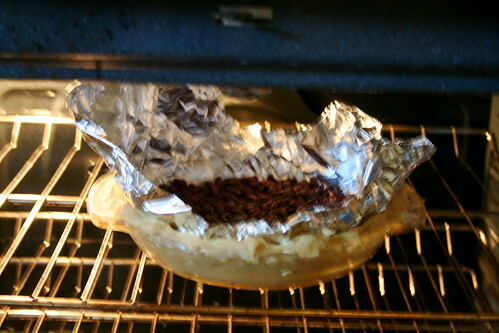 Remove tin foil and beans, place back in oven to bake for an additional 10 minutes, until the crust is golden. 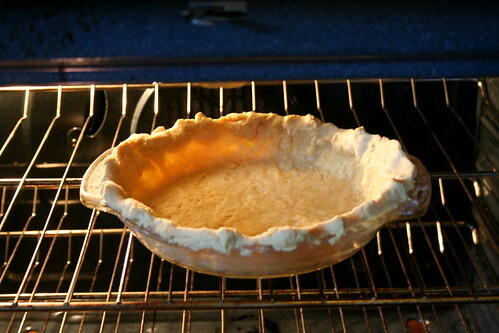 Remove baked crust from oven and set aside. 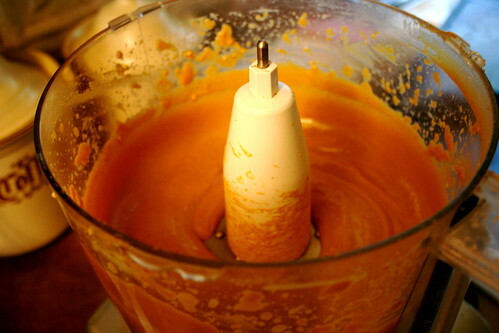 In a food processor, blend together all pie filling ingredients. 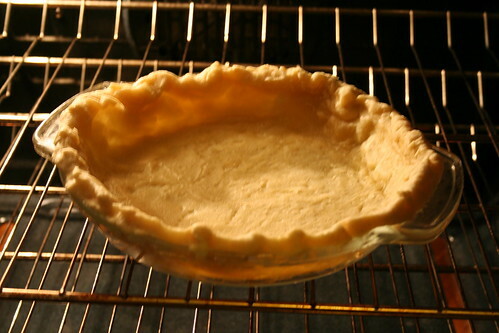 Pour into the pre-baked pie crust and bake for 60 minutes. Remove from oven and let cool for 2-3 hours before serving. I recommend making this a day ahead of time (or the morning of) and letting it set in the oven overnight before serving.